Shopping for Captain America Holiday Decor? Your hall of Pop! Vinyls need be in darkness no longer! Marvel's First Avenger will shine through the darkness. Decorate any room with the Captain America Pop! Party String Lights, featuring 10x Pop! 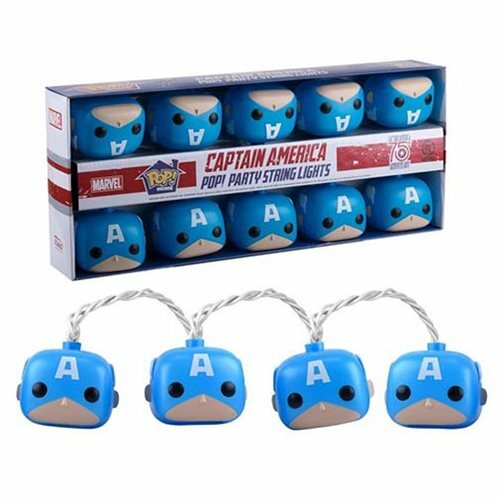 Vinyl stylized heads of Captain America along a white wire that plugs in to standard outlets. Ages 13 and up.